HAVANA (Reuters) - Cuba says a paper shortage is forcing it to cut back on pages and circulation at several state-run newspapers including the Communist Party daily Granma, highlighting the severity of the country's cash crunch as scarcity of basic goods increases. The Communist government said on Thursday that it was halving the edition size of some weeklies as well as Granma on certain days due to the lack of newsprint, which it imports. It will also no longer publish the Union of Young Communists' newspaper, Juventud Rebelde, on Saturdays. Last year's introduction of mobile internet and a state app called "Donde Hay" ("Where there is") have to some extent multiplied the mayhem as they have made it easier for Cubans to find out in real time when new stock has arrived. 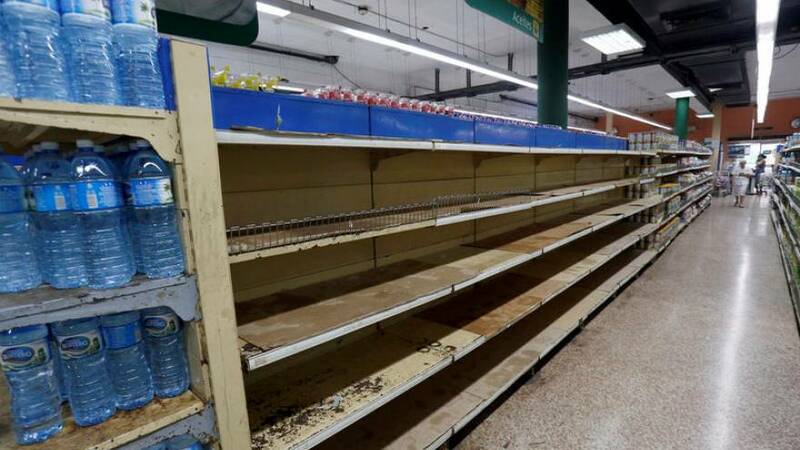 "There's nothing at the moment, and when they finally put something in the shops there are huge queues and you have to fight for it," said Niurka Fontana, 33, a Havana resident who works at an ice-cream parlour. "Every day it's worse." "I've had this prescription for renal antibiotics on me for two months now, but you can't find them anywhere," said pensioner Georgie Pi. Most Cubans say they are used to shortages, although some fear they will only get worse. "If there is a crisis in Venezuela, it affects us directly," said state worker Carlos Perez, 51.